We are asked to book blocks at The Four Seasons Resort The Biltmore all of the time. 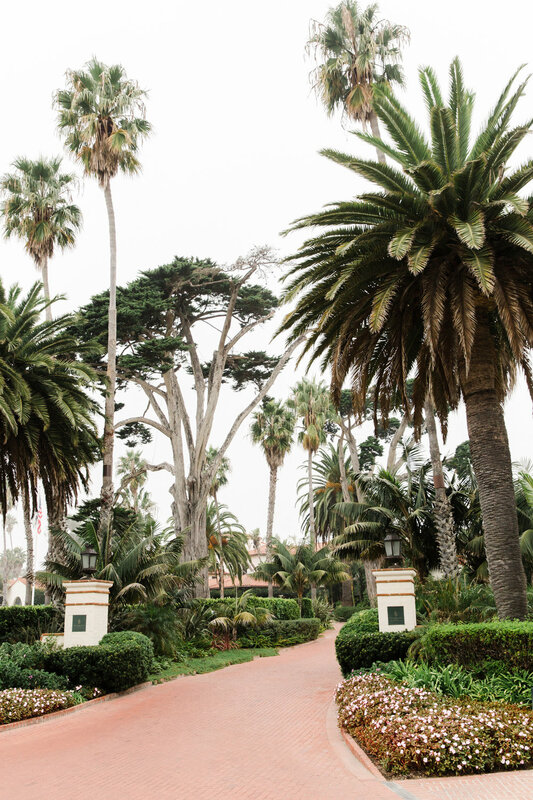 The resort has been a staple in Santa Barbara and Montecito for many years and we hear from a lot of our clients that their parents were married at the resort and they want to host their wedding room block at the resort for nostalgia sake. We love the grounds of the Four Seasons- they are lush, green, tropical and like you are staying at in a botanical garden. The resort has little placards around the property telling you about the plants and foliage and fun facts. The hotel has two pools, 12 stand alone bungalows for ultra privacy and is located just across the street from the famous Butterfly Beach. Their restaurant, Bella Vista offers sunset views that are jaw dropping. The resort itself will make your guests feel like they are somewhere between Spain and the tropics. The decor is stunning and the service amazing! If you are looking for a luxury room block for your guests, then we can confidently say that this Four Seasons is the place for you. Located in Montecito it is only a few minutes from downtown Santa Barbara to the north and the little beach towns of Summerland and Carpinteria to the south. Contact us today to start negotiating a block for you and your guests.